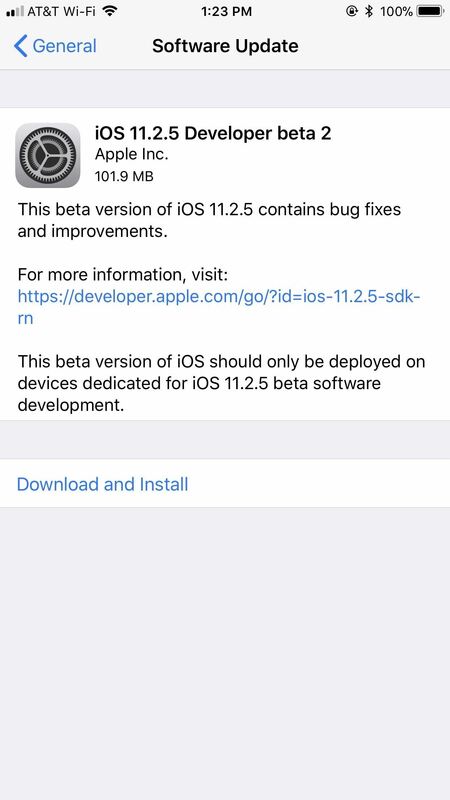 Apple has released the second beta for iOS version 11.2.5 for developers on Dec. 19. The update comes six days after the release of the first 11.2.5 beta which updated the Music app to include a persistent "play bar" at the bottom of the window, along with some bug fixes. Public beta testers received the update on Dec. 20. The iOS 11.2.5 beta 2 update appears to mainly include more bug fixes and under-the-hood improvements, as indicated by the update screen. 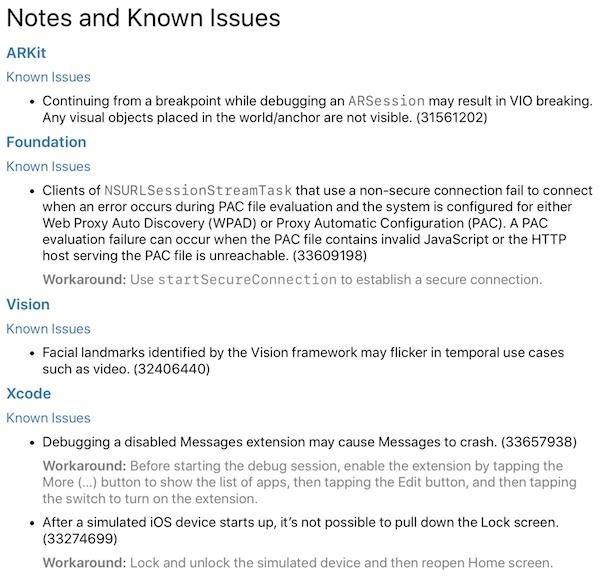 From the release notes, which are the same as the beta 1's, we see known issues still currently affecting AR Kit and Xcode as well as Vision and Foundational frameworks. At first glance, iOS 11.2.5 beta 2 does not appear to bring any major features or security patches. To get the update, you'll need to be a developer or public beta tester with a valid configuration profile. Simply open your Settings app, tap "General," then "Software Update." 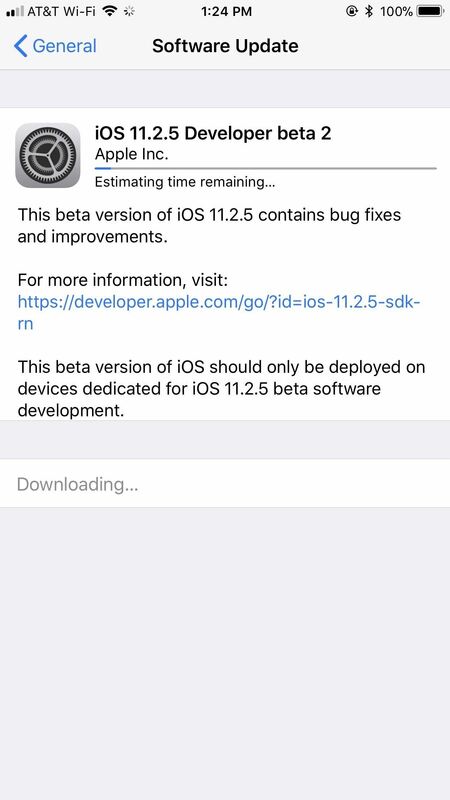 Follow the on-screen instructions to begin downloading and installing iOS 11.2.5 beta 2. Apple has been hard at work bringing updates to iOS 11. The company released 11.2.1 on Dec. 13 to everyone, which restored HomeKit remote access to shared users. 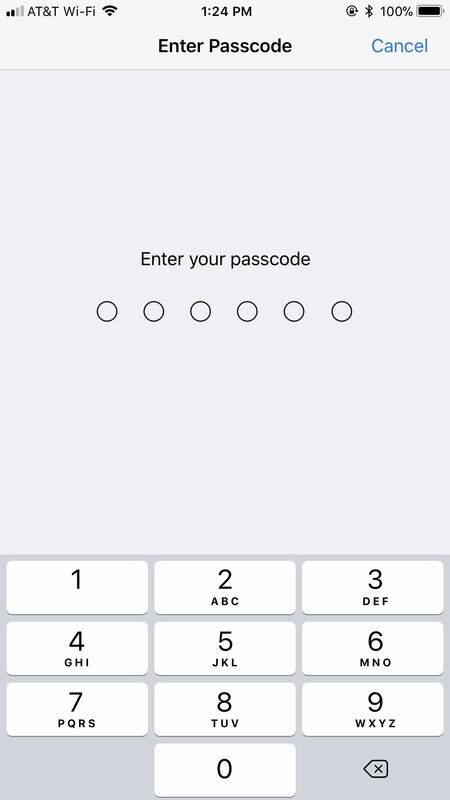 Apple had broken this shared access after discovering a vulnerability where unauthorized users could gain access to the Home app. We speculated during the first release of 11.2.5 that Apple might have jumped so many software versions for this beta because they already have public versions for 11.2.2, 11.2.3, and 11.2.4 all set for release. Or, the company is being cautious and looking out for any major bugs that need immediate attention.